While Tesla was unveiling its crossover last week, a few people noticed a tweet quietly posted by Ford. Released at 11:02 pm ET, right as Tesla’s scheduled webcast for the Model Y was kicking off, it told people to “Hold your horses”. It also featured a blue version of the classic Mustang logo on a black background. What’s this mean? 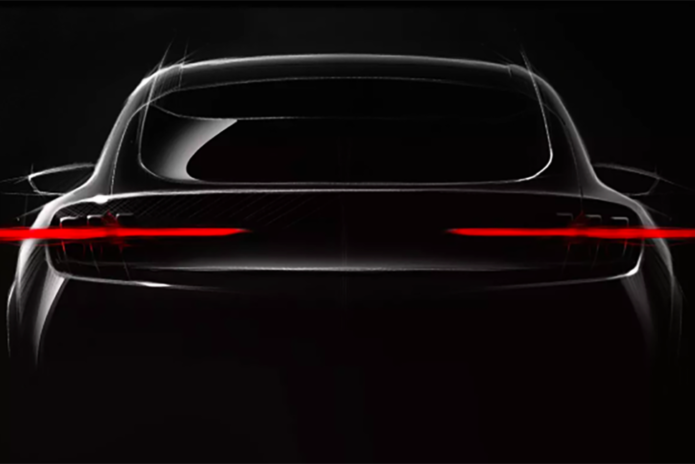 An electric version of its Mustang “Pony car” is coming.